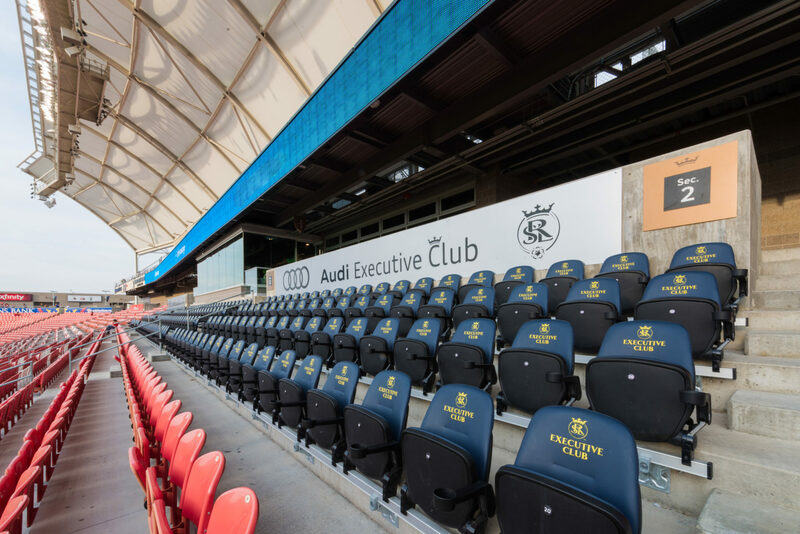 The Audi Executive Club at the Rio Tinto Stadium is a premier sporting experience. 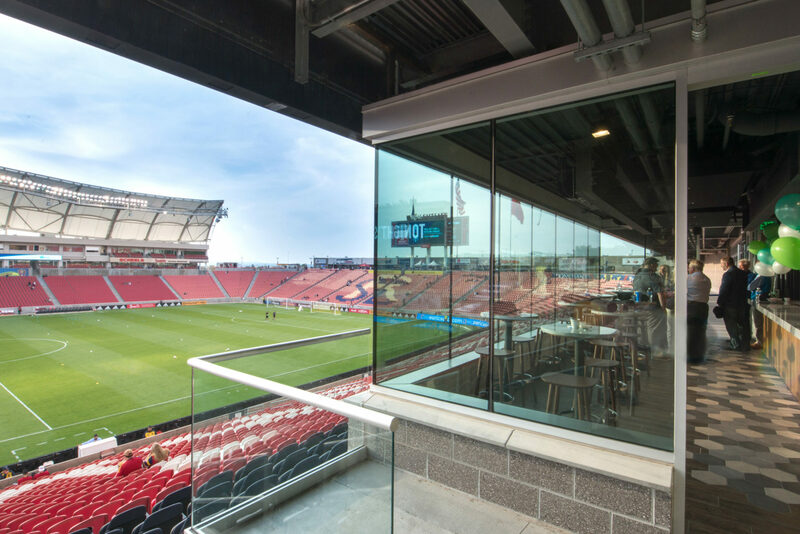 It offers views, catering, and special seating that allow patrons to never miss a moment of the game. 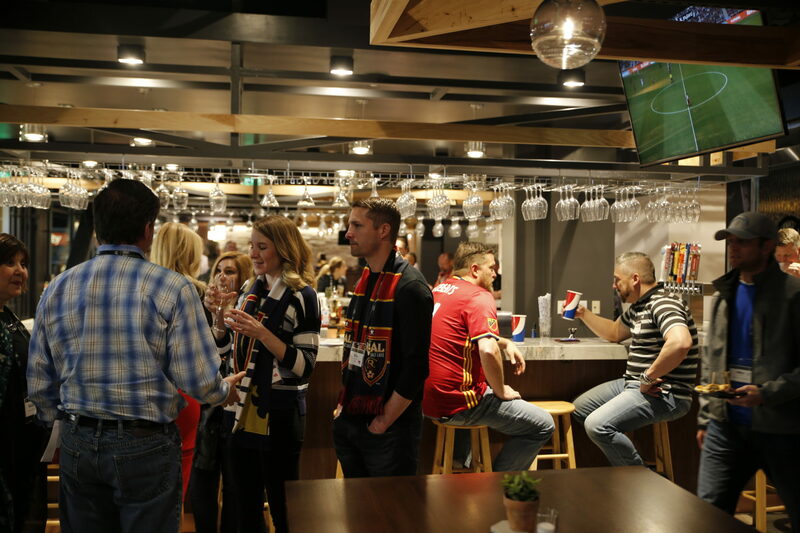 The space was developed in conjunction with Dell Loy Hansen, owner of the REAL Salt Lake, and it is meant to celebrate the team’s accomplishments and generate excitement among fans. 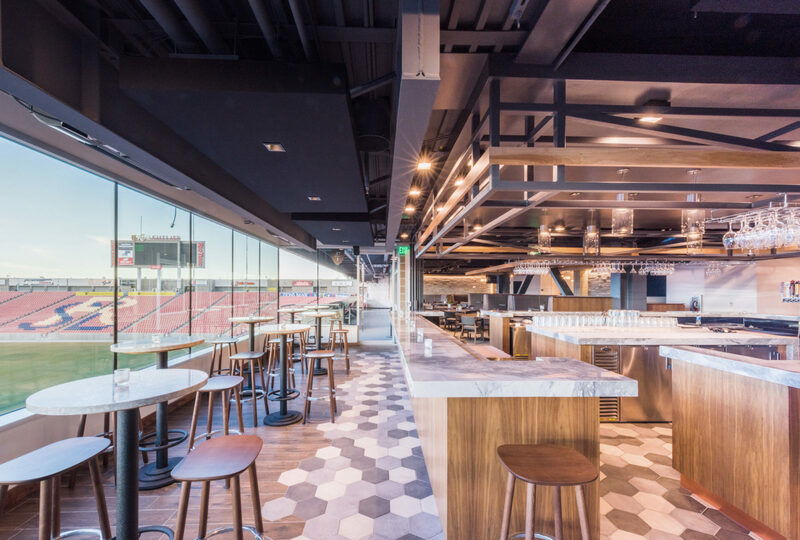 The materials in the venue are durable and timeless, so as not to distract from the real reason everyone is there – soccer.